Karate Throwing Techniques That Work in Real Life! The fellow grabbed me and threw me on the floor, and I had no karate throwing techniques to stop him. I was a Brown Belt in Karate at the time, and couldn’t believe how badly I had been manhandled, so I went to my instructor and told him what had happened. I wanted to know some Karate Throwing techniques. “Do the Forms,” was his advice. Do the Forms? But I had been doing Karate Forms! I had been doing them for three years! My attacker, however, hadn’t been coming at me from the front like a stand up fighter; he had bear hugged me from the rear, trapping my arms. What good were the kata? Where were the throwing techniques in the form? 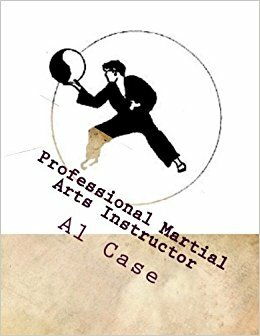 So I thought about it, and did my Karate Kata, and examined them with the specific problem of how I had been thrown onto the ground in mind. There, at the end of Pinan Three, I found the throwing solution. Drop the weight into a Horse Stance as you thrust the arms to the front, then get to work with elbows, foot stomps, head butts, and the like. Then grab him and move sideways as you pull his arm over your shoulder, and…zingo bingo…throwing! 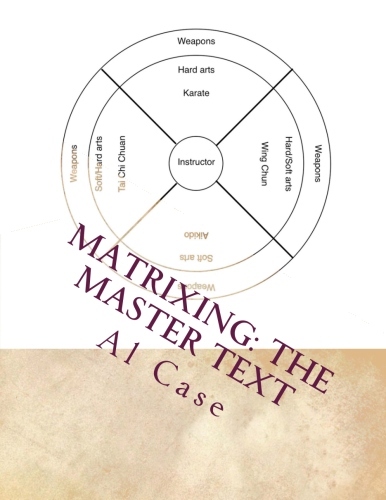 This woke me up and I began to examine my kata in earnest to find the throwing techniques. I examined books and videos. I tried out the karate throwing techniques on willing friends. And, eventually, I studied martial Arts that did have Grab Arts in them. Interestingly, I found that virtually every throwing technique can be found in the classical Kata of Karate. You just have to look at the kata long enought to see them. To make my point let me offer Pinan Two, and a study of Wrist Twists. By these locks I am talking about moves similar to Aikido’s, but which, through examination of the Form, can actually be taught, and learned, easier in Karate. 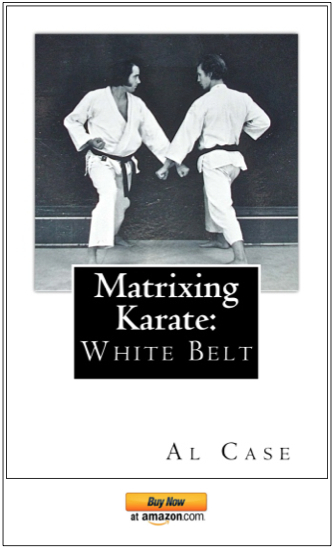 At the top of the Form, after angling the shuto blocks to the sides and at forty-five degree angles, there is a move, coming back, in which you step to the left with your left foot, rotate your hips and execute a right Outward Block. This is an ideal move for for karate throwing. Your opponent grabs your left wrist with his left hand. Basically, you simply do the Form. You twist your body to the left as you execute a right Outward block against the inside of his left wrist. 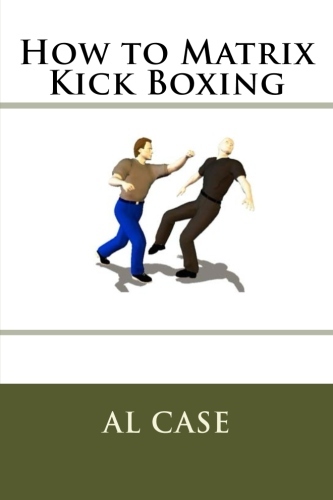 Follow up with a left punch to the opponent’s body. This is an excellent technique for several reasons. Man on right grabs right wrist with left hand. One, you will have an expanded concept of what is necessary to make a block work. By having to go against the power of his grip, already in place, you will be afforded severe reality as to the strengths and weakness of certain body motions. Two, you will learn that it is easier to make the technique work by putting your whole body into it. I sometimes call this ‘Out Body Parting’ your opponent (OBP). Simply, your hips are stronger than his wrist. Three, you will start to understand how you must drop your weight, even angling your elbow over the grab, in order to put more weight into the escape. The next technique comes from the Form after you have executed the kick and punch that follow the last technique. This is another hip twist and Outward Block. Your opponent grabs your left wrist with his right hand. Again, you simply do the Form. You twist your body to the right as you execute a left Outward block against the inside of his wrist. 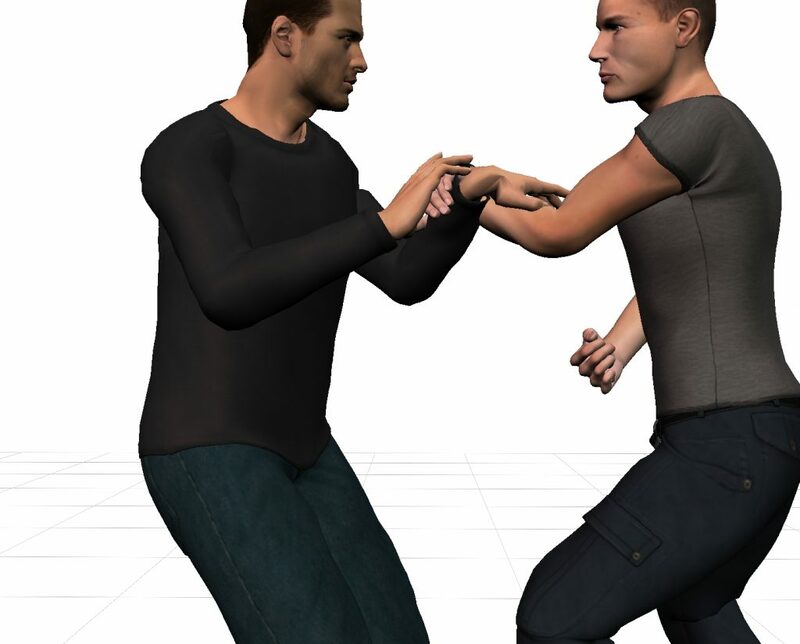 Follow up with a right punch to the opponent’s body. There are several things to be learned from this technique. One, it is easy to escape by angling your wrist through the gap between his thumb and fingers. In fact, with this simple datum it is almost impossible for anybody to grab you effectively with one hand. 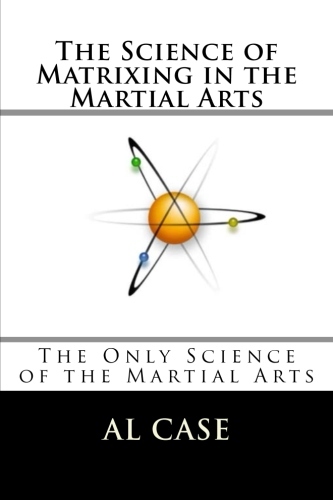 When you are exploring the Aikido variations you will want to be aware of one important fact. Aikido, in many instances, was developed from sword techniques. Or, at the least, was effected by the various Sword Arts extant in Japan. Thus, when you perform the Aikido variations you will come across certain sword concepts. Slap your hand over his grabbing fingers, thus locking, by OBPing (Out body Parting) your whole arm against his fingers, so he can’t escape what you are about to do to him, and roll over his wrist. (Do not try to move his wrist in space, or ‘Cut’ through it, but rather crank him like you would start of the engine of an ancient car). 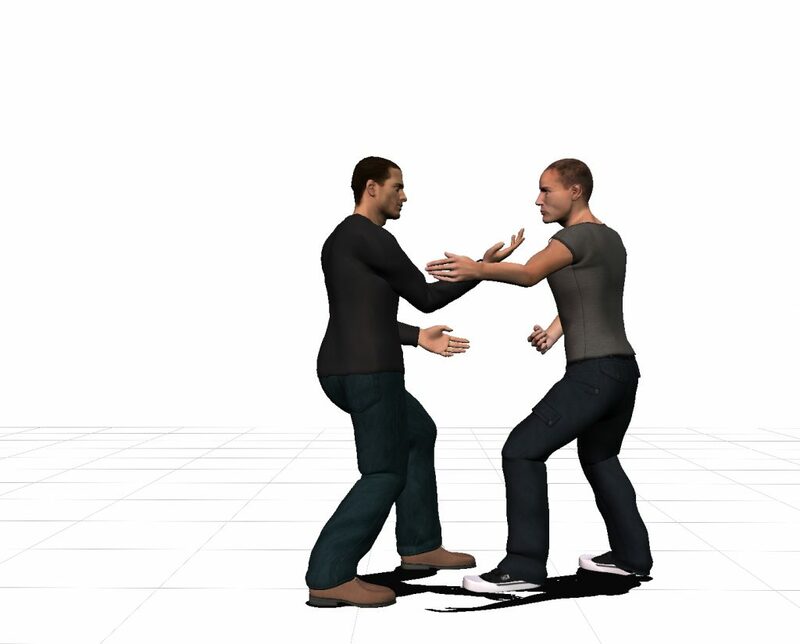 man on left locks the grab with his right hand and circles the wrist with his left hand. A) (Classical method) cut with your hand, as if it was a sword, down his centerline. B) (My method) marry the palm of your hand firmly over his wrist and point downward. C) (My helpful hint) point one finger towards his Tan Tien so as to increase your intention. The next technique comes from the Form after you have executed the kick and punch that follow the last technique. This is when you simply step forward and execute an Outward Block. 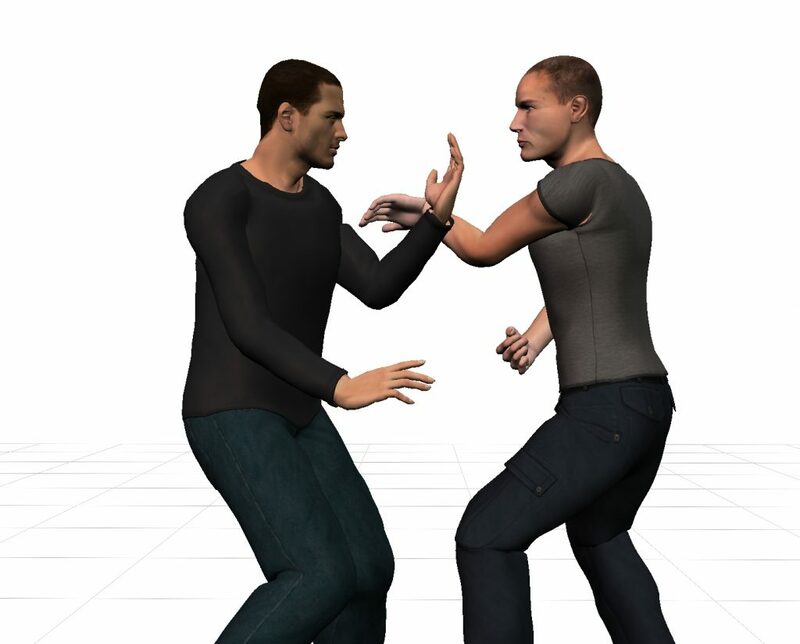 From Kata Pinan Three, your opponent grabs your left arm with both hands. Again, you simply do the Form. You begin moving forward, dropping your weight and pointing your hand towards the ground. He will be unable to support you, and you will be able to execute an Outward Block. This block will tie up his arms and throw him forcefully backwards. Several important things are happening here. A) He has used two hands to close the gap of thumb and finger on each hand. B) By dropping your weight you are OPBing him, and changing the angle of both wrists to allow for your technique. Simply, his hands can’t hold your entire body. C) Be willing to take advantage of a potential headbutt. Be careful of headbutting if you are merely practicing with a friend. Be careful you don’t get headbutted. D) When you have succeeded in moving your arm into the beginning of the Outward Block his hands will have twined, and the entire push of your rear leg, and the mass of your body, will be moving into his unaligned wrists. Move with full speed and there is the very real potential of breaking his wrists. E) If you do this technique correctly it will be very effortless, and you will be surprised at how a simple block can actually cause an opponent to fly backwards through the air. I am going to offer a word of caution here. Be careful when doing Grab Arts. As you practice these techniques, and as you understand the fine points and nuances, you will find that they require less and less effort. When you have reached this stage you must understand that the True Art requires a high degree of sensitivity. If you don’t then you will have a partner with a broken wrist. The following technique comes from the angled knife blocks done previous to the last three moves. Your opponent grabs your right wrist with his right hand. You will again do the Form, but this time with a twist. I came to an understanding of this Karate Throwing Technique through a study of Pa Kua Chang, thus you step to the left with your right foot as you rotate and raise your right palm so as to look at it. Point down, then spiral up. From Pa Kua chang, or the second karate kata…Pinan Three. I have offered nothing beyond this move because, if you do this move, the world of Grab Arts will open up for you. You will have OBPed him in the ultimate sense of the word. He will be off balance, and virtually every Grab Art you can think of can be introduced at this point. He is closed, with his back a broad target to you, and his weapons on the wrong side of his body. Do you wish to go for an elbow? A neck? An esoteric spin and lock? Really, when he is being subjected to this technique, he is at your mercy. And you will find, with very little practice, that even a whisper of effort is an overstatement of fact. In closing I would like to make a point. Karate has gotten a bad rap in recent times. It is called unworkable.It is compared to the arena of the Extreme Fighters. It’s methods are sometimes harsh. And, to be truthful, it sometimes takes a little intelligence to look beyond the simple kick and punch. But, the truth of the matter is that most of what you see that is called Karate is not really Karate. Karate bears no resemblance to boxing, or any of the kickboxing hybrids. Karate is a study of angles and motions and such that result in a state of power that is virtually unexperienced in these here United States. Do you want that power? Do you want that knowledge? Then you must be willing to commit yourself, and persevere. That is what I did over thirty years ago, and in that time I have found a workability that stuns the mind, soars the spirit, and develops the character. I hope the techniques that I have shared with you in this article have given you a hint of this. By the way, that fellow who grabbed me from the rear? He tried it a few months later–and you won’t believe what happened to him. He ran into a Karate Throwing Technique he couldn’t believe! Temple Karate has throws, plus one finger intention throws. 3 Responses to Karate Throwing Techniques That Work in Real Life!